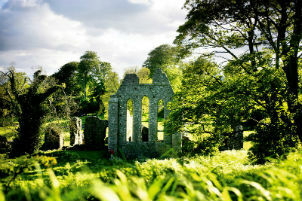 Inch Abbey has quite the history – not only is it a beautiful Cistercian Abbey founded in 1180, it’s also where the War of the Five Kings began. The houses of the North took up the cry of “the King in the North!”, after learning of Ned Stark’s death, spurring his son Robb on to war. On a clear day, while you sit beside the gushing River Quoile, you can see Downpatrick Cathedral, where St Patrick is said to be buried. 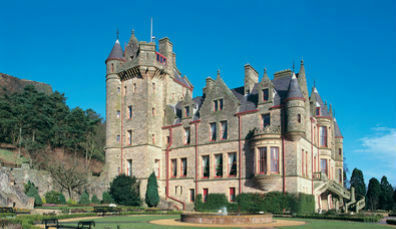 Take the ferry across Northern Ireland’s Narrow Sea, the strip of water between Strangford and Portaferry. 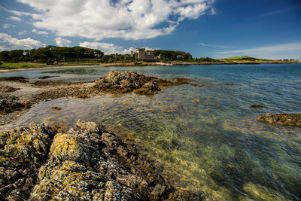 From here, take a moment for yourself and gaze out over the tranquillity of Strangford Lough. 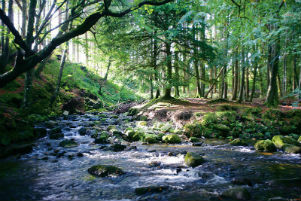 The shores of Lough Neagh and Toome Canal are a beautiful mix of woodland, bogs and fascinating wildlife. This is where Tyrion Lannister was kidnapped by Jorah Mormont and taken prisoner in season five. The Toome Canal, representing the Old Valyrian Canal on the show, is also where the two were attacked by the Stone Men. 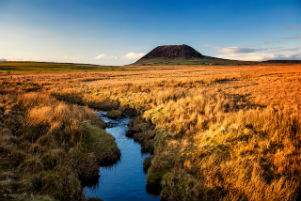 Clamber towards Knock Dhu, a Bronze Age promontory fort that sits high above the landscape. 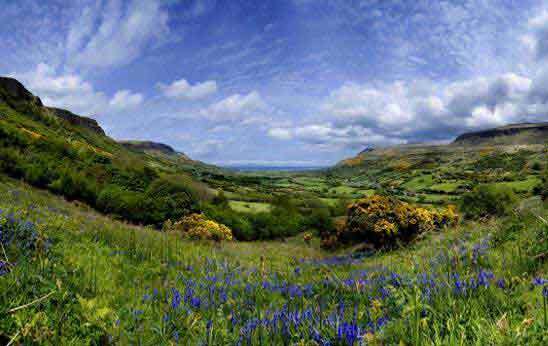 Over millions of years, the Glens of Antrim took shape when Ice Age glaciers carved the landscape into a series of valleys and hills, creating a rich land that is now dotted with pretty villages and areas of incredible natural beauty. 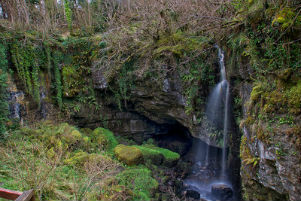 The hidden village of Galboly, near Glenariff, a valley of tumbling waterfalls and twinkling forest canopies, is the filming location for Runestone in Game of Thrones®. 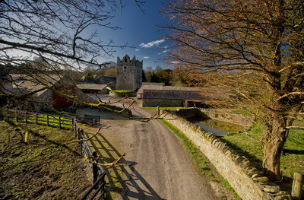 This is where Lord Yohn Royce takes Robyn Arryn, the Lord of the Eyrie, in order to raise him as his ward and where Sansa Stark and Littlefinger watch his attempts at duelling. 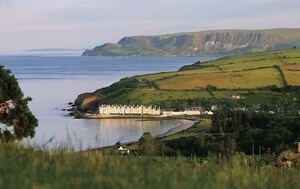 Call into the Corner House in Cushendun village for a warming lunch to refuel after a morning of exploring the caves. 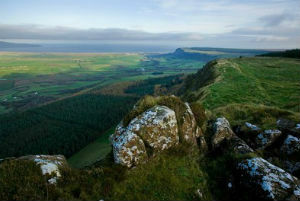 Watch out – Murlough Bay is home to slavers! 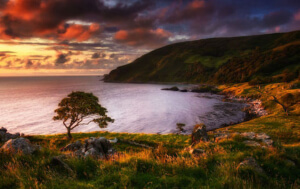 This stunning stretch of shoreline along Northern Ireland's Causeway Coastal Route is where Tyrion Lannister and Jorah Mormont ran afoul of slavers on their way to Meereen. 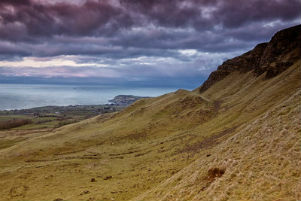 It offers wonderful views out towards Rathlin Island, and on a clear day, you could even spot the Scottish Islands which lie across the North Channel. 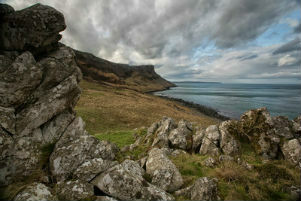 Take in the breathtaking vista at the Fair Head crag where you can gaze out over the stormy North Sea and look back across miles of verdant green countryside. You might recognise this place as the Dragonstone Cliffs where Jon Snow has an intriguing encounter with Daenerys and her dragon. 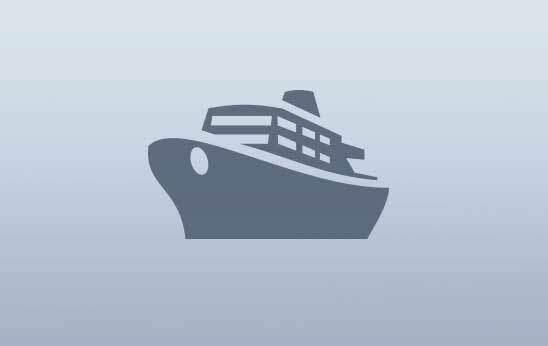 Set sail across the seas, and prepare to come in to contact with some of the most fearsome people in Westeros. Ballintoy Harbour, a picturesque port nearby the village of Ballintoy, is also known as Pyke – the home of the infamous Ironborn. This is where Theon Greyjoy arrives in the capital of Lordsport after his many years away as Ned Stark’s vassal. 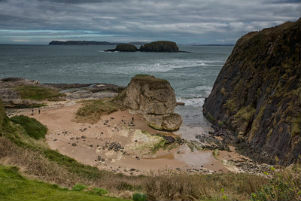 Nearby, Ballintoy Beach is where Euron Greyjoy is drowned to become the king of the Iron Islands. 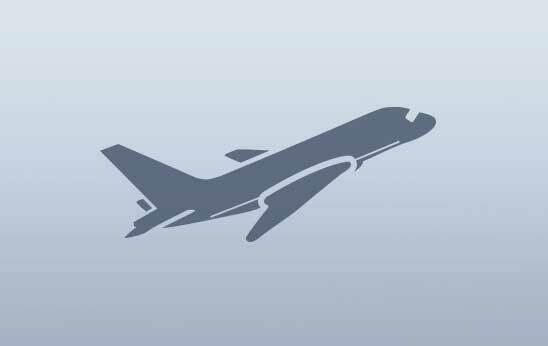 Can you imagine anything more terrifying than fleeing from the Lannisters? But that's just what Arya Stark did, as she escaped down the Kingsroad alongside the Night's Watch. The Dark Hedges provides a superb backdrop for Arya's flight – the beech trees, with their twisting trunks and rustling canopy far above, are over 200 years old. 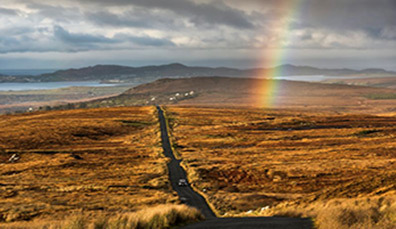 Walk this legendary road and transport yourself to the Seven Kingdoms. 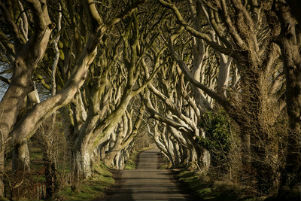 At the very end of the Dark Hedges lies Gracehill House – call in for dinner and a drink, and see another of the Game of Thrones® doors, commemorating Bran's transformation into the Three-Eyed Raven. 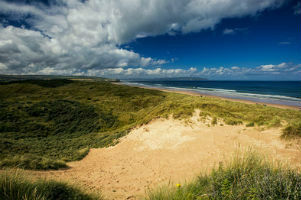 Two miles of golden sands and gentle lapping waves – that's Portstewart Strand. It was here among the huge sand dunes and clumps of grass, that Jaime and Bronn found themselves captured by Dornish soldiers on the coast of Sunspear, and where Ellaria and the Sand Snakes conspired to start a war with the Lannisters. 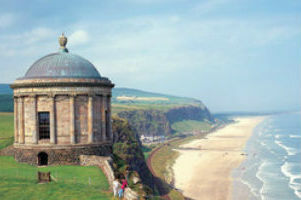 Downhill Beach is a stretch of spotless white sands, overlooked by Mussenden Temple, a replica of the Temple of Vesta in Rome. Here, tourists and locals alike converge to watch surfers take on the waves. But this immaculate beach has a darker side – this is where Stannis Baratheon rejects the seven old gods of Westeros. He is proclaimed as the champion of the Lord of Light by Melisandre and enters Dragonstone into the War of the Five Kings. 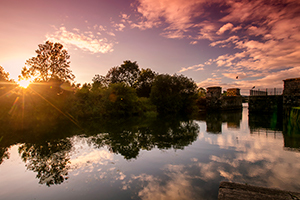 Explore Devenish Island with a ferry from Enniskillen, and you won't be the first – or indeed the last – to fall in love with this place. 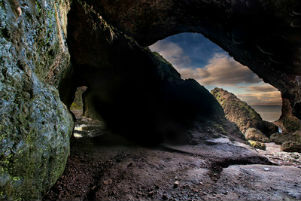 The ancient Celts, Christian monks and the Vikings all enjoyed their soujourn on this isle over the centuries. 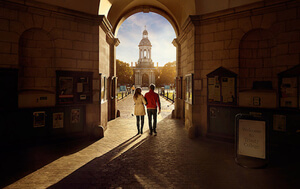 Continue your journey down the Wild Atlantic Way and make unforgettable stories of your own. 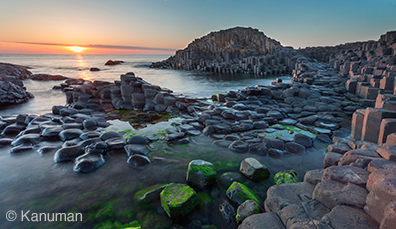 Traverse the ancient landscape that makes up Northern Ireland's iconic Giant's Causeway. 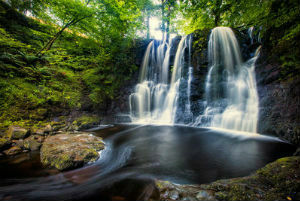 Experience a thousand years of history in just one day in this lively County Fermanagh island town.